Elizabeth Margaret Farrelly was born in New Zealand in 1957. Elizabeth Farrelly graduated from the University of Auckland with a Bachelor of Architecture (Honours) Degree. 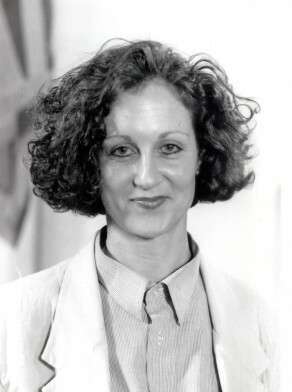 From 1981 to 1985, Farrelly worked as an assistant architect in Auckland and was Assistant Editor of The Architectural Review in London before arriving in Australia in 1988. She was an architecture writer for the Sydney Morning Herald and has published widely. She has lectured at several Sydney universities and other institutions in design and design theory. She is an acclaimed architectural writer and critic and has been awarded the Critics’ prize by the CICA (Comite Internacional des Critiques d’Architecture) and the RAIA award for architectural writing (1994). She continues to be a regular columnist for the Sydney Morning Herald. Elizabeth Farrelly was elected Alderman from 23 September 1991 to 1993 and Councillor from 1993 to 1995. She was a member of the Central Sydney Planning Committee, the Works Committee, the Planning Committee, the Sydney-Wellington Sister City Committee, the Capitol Theatre Policy Management Board and the Ultimo-Pyrmont Urban Design Advisory Committee. She was Chairman of the Civic Design Sub-Committee and the Projects and Public Spaces Committee. Farrelly served as an Independent.